Minimum shift keying (MSK) is an important concept to learn in digital communications. It is a form of continuous phase frequency shift keying . In minimum phase shift keying, two key concepts are used. 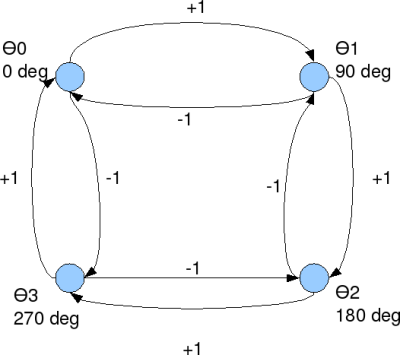 (a) The frequency separation of the sinusoidals used for representing bits 1′s and 0′s are , where is the symbol period. (b) It is ensured that the resulting waveform is phase continuous. In a previous post (here), we have understood that the minimum frequency separation for two sinusoidals having zero phase difference to be orthogonal is , where is the symbol period. However, it can be observed that at each symbol boundary, there is a phase discontinuity. The presence of phase discontinuities can result in large spectral side lobes outside the desired bandwidth. 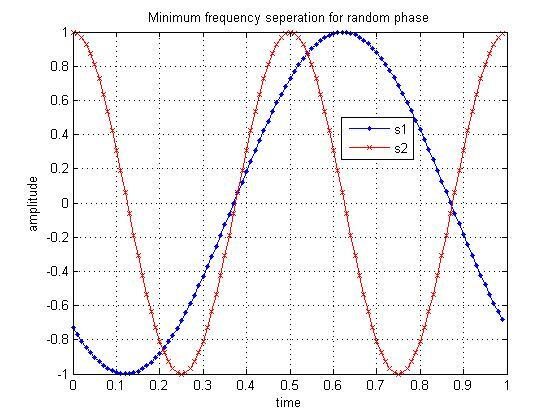 Hence the need for having a frequency modulated signal which is phase continuous. corresponds to -1 for bit 0, +1 for bit 1 respectively. Simple Octave/Matlab code for simulating and plotting binary Minimum Shift Keying is kept here. We have observed that bit error probability of classical coherent binary frequency shift keying is 3dB poorer compared to bit error probability of binary phase shift keying. However, in minimum shift keying, using the knowledge of the phase transitions, we should be able to recover the 3dB loss associated with FSK and get a performance comparable to BPSK. We will hopefully discuss that in a future post. i want matlab code for reduction of ICI in ofdm using raised cosine pulse. please can you send it my email id. @ABHIJEET: Does your OFDM system has cyclic prefix. If the fitler response is bounded within the cyclic prefix, then there should not be any ICI. Hi Krishna, can you show examples for OQPSK with sine pulse shaping using modem.oqpskmod and modem.oqpskdemod? thanks! @riki: Sorry, I do not have Matlab installed in my home computer. Now I try to simulate MSK (and FSK) transmission on a rayleigh channel. Can you explain it, do you have the same gap? In fact, I try to program in C + +, the MSK modulation, your Matlab model is very interesting however I have some difficulties in receiving, the convolution does not work very well. Have you an idea how to demodulate the signal by taking into account the phase change? I think that I perform the convolution in reception is not suitable, I convolves my outgoing signal channel signals with AWGN: f1 = sqrt (2 / T) * cos (2 * PI * (k +1 / 4T ) * t) and f2 = sqrt (2 / T) * cos (2 * PI * (fc-1/4T) * t). But the results between the two convolutions are not different enough to determine correctly received bits. 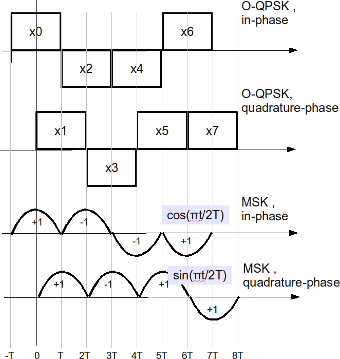 In this post, I have discussed MSK as a variant of offset QPSK. thanks for your explain ! Also can you explain me, how you do to demodulate the signal, I have difficulties to demodulate correctly because I do not take into account the phase to the convolution of signal reception. 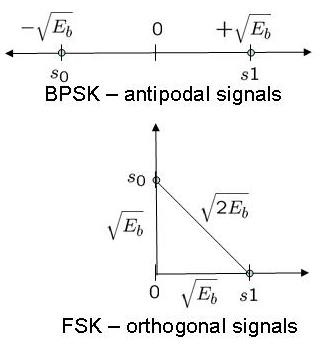 It is difficult because we have 1 phase for each point (fsamp in reality) of the signal. Thanks for your help and sorry for my english ! @Denis: Sorry, I do not quite understand the concern. Did you take a look at the Matlab model in the post. Ok, but how does the receiver looks like ? What about carrier and phase recovery ? How I get my signal back ? However, I have assumed that synchronization is perfect and we need not do carrier/phase recovery.